home Arhitecture & Design, Future Cities, Housing, Projects & Cities, Technology & Innovation Will future cities be built using 3D printed construction tech? We live in an incredibly and progressively changing world. The built environment is certainly not an exception. With the rapid progress in technology, it is no longer a surprise that homes can just come out of a computer, printed and downloaded. And presto! The house you have been dreaming for all your life is just a click away from your mouse. 3D printed construction technology is a game-changing innovation in the field of urban planning and civil engineering. In the same manner that a cash machine creatively destroyed human cashiers, 3D printing technology will soon kiss farewell to manual construction laborer and engineers. Instead of waiting for a home to get constructed in a month or so, one only needs 24 hours or even less to get a house printed using a mobile printer. These three magic words could have been the open sesame to unveil a structure in a matter of hours. That a house can be printed in a significantly less amount of time has been proven in various parts of the globe. 3D Printhuset has recently completed the Building on Demand (BOD) in the Copenhagen, Nordhavn area which is regarded as Europe’s first 3D printed building. It is a small office hotel designed and created by Anan Goidea. 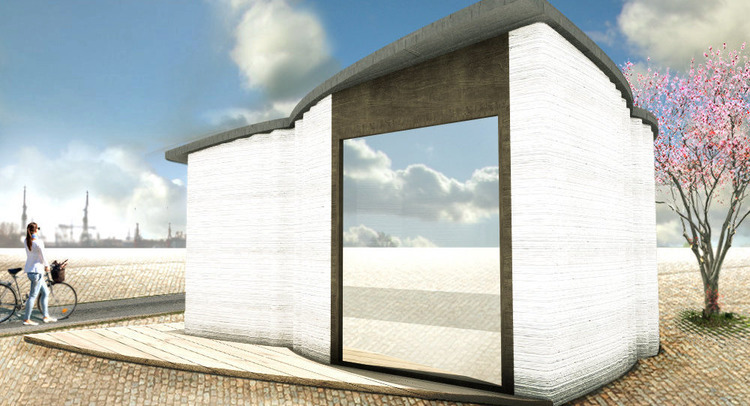 Regarded as the first 3D printed permanent building, BOD is EU standards compliant with all permits in place and fully approved by the authorities. Designed to be as green as possible, the entire building used recycled insulation and only minimal waste was generated using 3D printing. 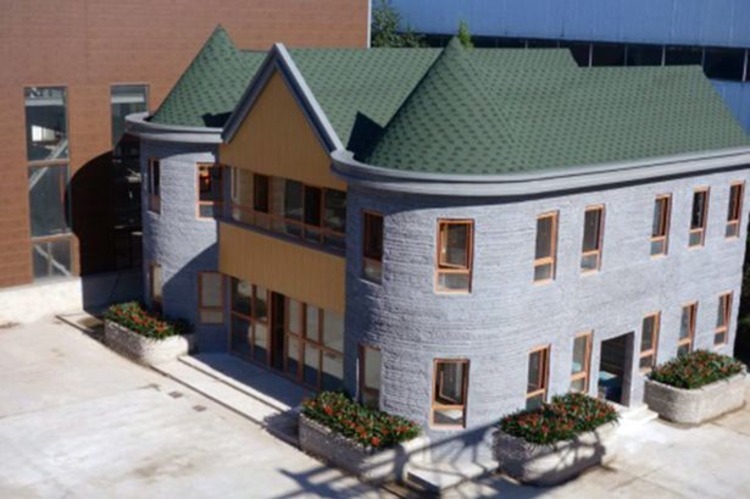 Apis Cor, a San Francisco-based 3D-printing startup, built the first 3d printed house in the city of Yaroslavl, Russia. “We want to help people around the world to improve their living conditions. That’s why the construction process needs to become fast, efficient and high-quality as well. For this to happen we need to delegate all the hard work to smart machines,” Nikita Chen-yun-tai, the inventor of the mobile printer and founder of Apis Cor told the Telegraph. 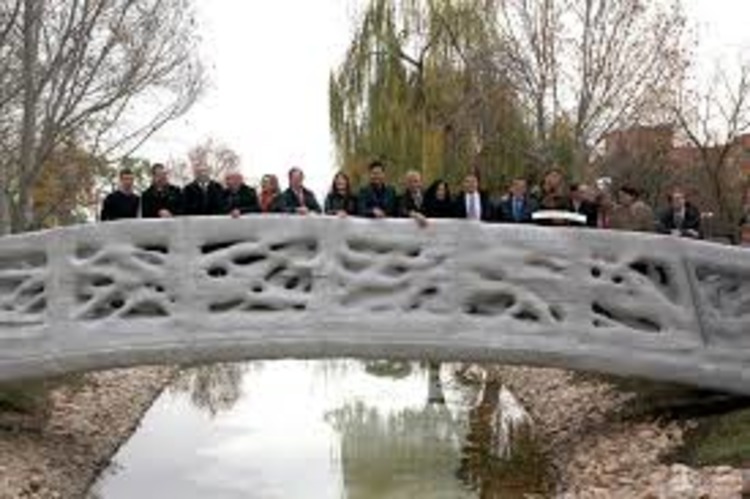 Using 3DBUILD technology, ACCIONA built the first 3D printed pedestrian bridge in the world. The structure can be found at Castilla-La Mancha in Alcobendas, Madrid. 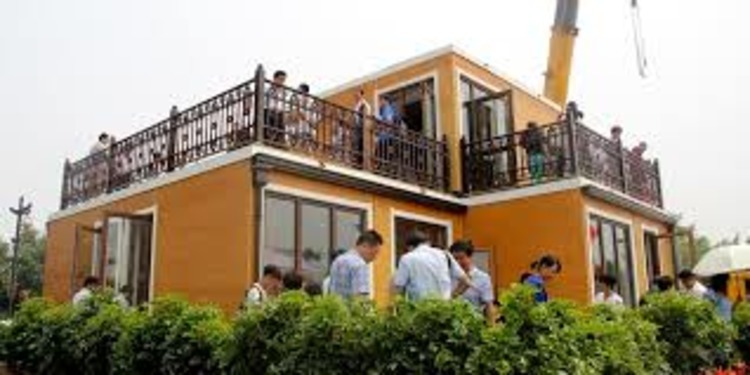 In China, a construction company named Zhuo Da built a two-story villa in less than 3 hours. Made from a special construction material, the modular fireproof home is claimed to be capable of withstand a magnitude-9 earthquake. Components were already printed before assembling them like LEGO pieces in the area. These landmark structures mark some significant milestones in the built environment using 3D printing technology. In a report released by the World Resources Institute Ross Center for Sustainable Cities around 1.2 billion people do not have adequate access to affordable and secure housing. An estimated 400 million people will add up to this figure by 2025. 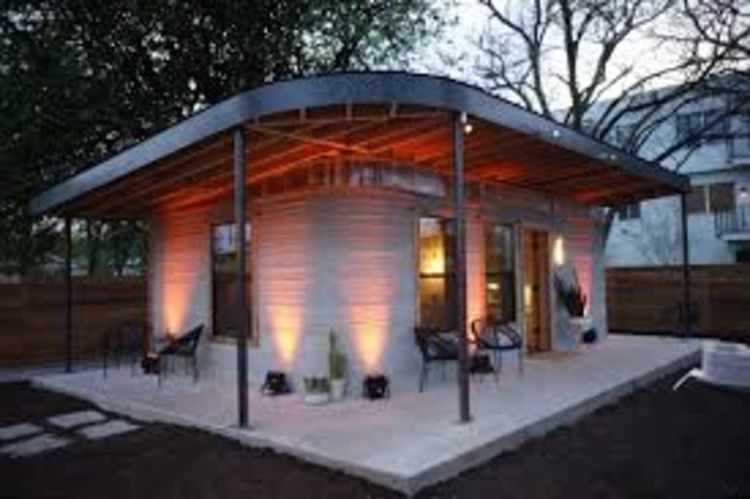 Recently ICON, a start-up based in Austin Texas, forged partnership with New Story, Y Combinator-backed nonprofit that uses technology and innovative processes to build holistic communities in the developing world, built the first permitted, 3D-printed home in America situated in Austin Texas. Using the Vulcan printer, the production version of the mobile printer, ICON says it is able to print a single story, 600-800 square foot home in under 24 hours for less than $4,000. If all goes according to what has been planned, the two will organize a community with around 100 homes in it in El Salvador by 2019. The implication of this technology could have far-reaching effect along structures of similar line such as but not limited to design and manufacture of urban amenities and so-called urban furniture like garbage bins, phone booths, benches, and to the preservation of historical and cultural heritage. If we can print a house and a community with 3D printing technology, can we leverage of the same technology to print our cities?